Planning to watch a few horror movies this Halloween? Then forget Friday the 13th, A Nightmare on Elm Street and The Texas Chainsaw Massacre. If you really want to scare yourself (and possibly laugh yourself to death) this Halloween, check out these ‘so bad, they’re good’ horror movies! WARNING: this post contains bad special effects, barely comprehensible plots and terrible acting throughout. 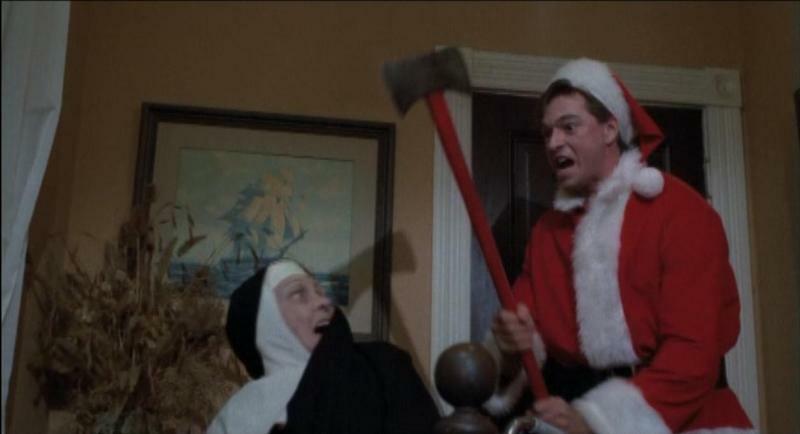 Silent Night, Deadly Night Part 2 tells the tale of a psychotic young man out to avenge the death of his murderous brother (who dressed up as Santa) by killing lots of people, although the plot doesn’t actually matter because the only thing you’ll care about is the incredibly bad acting. There’s also a bit where someone gets killed by an umbrella. Don’t get that in Saw, do you? Have you ever wondered what would happen if a bunch of zombies ended up at an American college rave? No? Well, Rave to the Grave provides the answer anyway: you’d end up with the most ridiculous film ever. The ‘plot’ centres around a party drug called Z, which turns anyone who takes it into a slack-jawed brain-muncher. And wouldn’t you know it, a load of kids at a rave have taken it and now they’re eating people (while actually chanting braaaaaaaains)! It honestly makes The Walking Dead seem like a David Attenborough documentary by comparison. Troll 2 is widely considered to be one of the worst films ever made, and it’s not hard to see why. For a start, it’s not about trolls – it’s actually about a group of goblins that attack a town so they can eat people. Except the goblins are actually vegetarian, which means they have to turn the townspeople into a weird vegetable mush before they can eat them. Why not just eat veggies? Amazingly, the plot isn’t the worst part of the film. That honour goes to the acting, as demonstrated by this legendary moment. You know what they say: the 4th film about a killer leprechaun is always the hardest. Well, actually, no-one has ever said that but it must be true, because it’s the only explanation for Leprechaun 4: In Space. This is honestly one of the weirdest movies we’ve ever seen. The killer leprechaun of the title ends up in space where he kidnaps an alien princess (because she’s after his pot of gold, obviously), which leads to a group of space marines hunting him. Then a crazy scientist shows up and, well, we kind of lost track after that. Leprechaun 4 is brilliantly stupid and is possibly Warwick Davis’ finest hour (that beeping is your sarcasm detector). You’ll spend half of it laughing, and the other half wondering how it ever got made. Three words: killer gingerbread man. We’ll leave it at that. Share your favourite terrible horror movies with us the comments. And if you’ve got any horror DVDs you don’t watch anymore, sell them with musicMagpie!